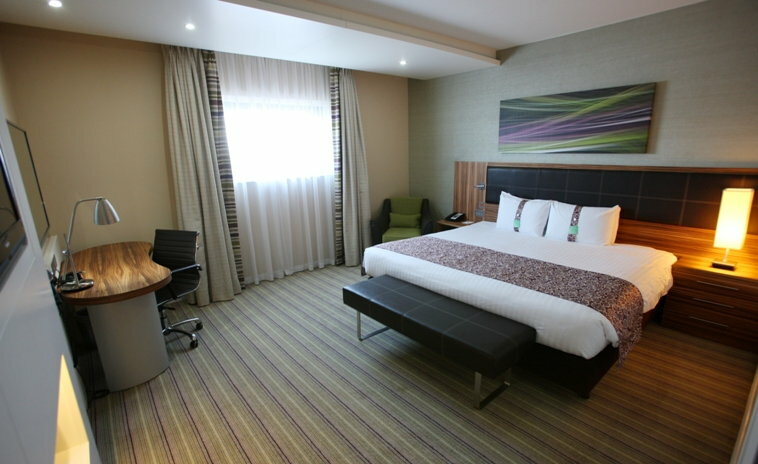 The Holiday Inn Reading M4 Jct 10 offers a wide range of discounted hotel rooms. Our room types include standard double rooms, twin room, executive room, junior suite, inter-connecting rooms or accessible rooms which are fully DDA Compliant. All of our luxurious rooms come with en-suite bedrooms, air-conditioning, 32″ flat screen TV with selection of Freeview channels, hairdryer, ironing board and bedroom safe. There are comfortable work desks and high speed internet as well as spacious bathrooms complete with showers. Our Breakfast and Wi-Fi package includes complimentary upgrade to a spacious Executive Room, full English breakfast, 24 hour complimentary WI-FI and full use of Esprit Fitness & Spa. Rates from £75.25. From authentic, enriching experiences to a comfortable stay, IHG® offers a range of hotels and resorts that meet your needs. Book early and save between 10% and 30% off room rates now. To book your Hotel Accommodation in Reading, or for more information on our discounted hotel rooms in Wokingham near Reading, please contact us on 0118 944 0444 or email reservations@hireadinghotel.com.